I never go anywhere without a Moleskine in my pocket for this very reason! 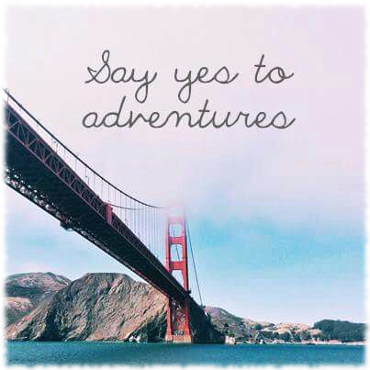 At first glance the idea of ‘Say Yes To Adventures’ seems like a no-brainer. 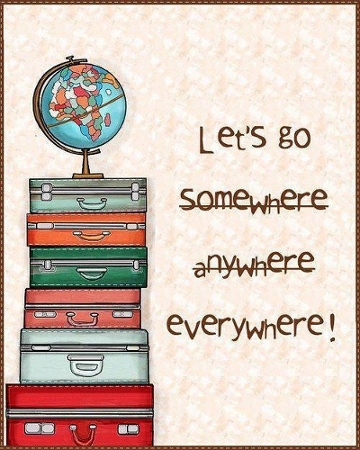 After all, who wouldn’t want to have an adventure? 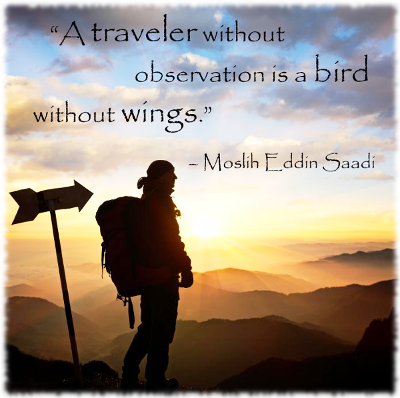 But if you look at all the little “no’s” that happen in life, you might see how saying “no” to adventure has crept in and become a habit. If you’re not careful, all these little “no’s” can add up to a way of life. A boring one. Who Can Pass These Without At Least Trying To Take A Look? 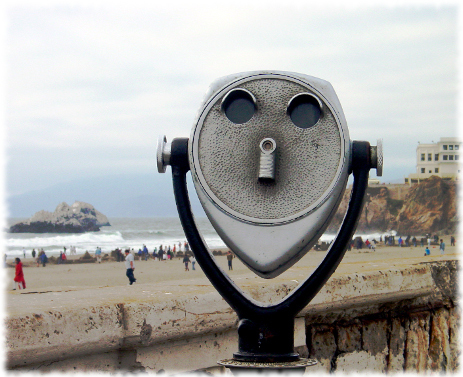 To me, they’ve always looked like a face, a friendly face beckoning you to come over. And really, whether you’re a five year old or a grandma, who can get near one of these without putting your hands on the cold metal and pressing your face to the eye holes to take a look? What am I talking about? I’m talking about tower viewers of course. Yes, tower viewers, which is apparently what pay binoculars are called. I’ve never met anybody who called them by their official name, it was always just “Hey look, binoculars!” whenever someone spotted one while walking by. In many ways I can connect the dots of all my major travels with an experience with a tower viewer. Whether it was fighting ocean winds in Homer, Alaska to get to one or fighting vertigo in the Sears Tower as a kid to check out the cityscape. 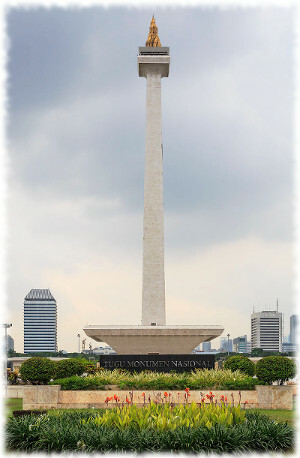 Or during that one incredible “vacation” to Jakarta, Indonesia when I took that claustrophobic (and let me just say quite questionable) elevator to the top of Jakarta’s most famous monument, Monas, the monument of the golden flame. When we got to the top my father, who I hadn’t seen in twenty years, immediately gave me a handful of coins so that I could look out at Jakarta through a tower viewer. And that was no mistake. The world as seen through a tower viewer is just more interesting, and as I put the coin in at the top of Monas I was immediately able to transform this almost overwhelming mass of buildings and movement that surrounded me in the city of an astounding 9.6 million people. I zoomed in and saw people, cars, the details of buildings, open windows even, and the landscape came alive for me in detail wherever I wanted to swoop in for a look. I was able to see a side of Jakarta that would be impossible to see any other way. And all this happened for the price of a single coin. 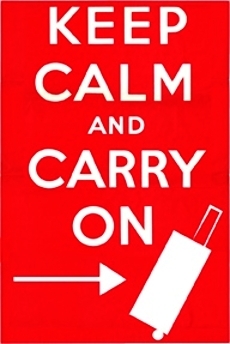 I’m pretty burnt out on the ‘Keep Calm And Carry On’ meme but this one still made me lol! But maybe take a little less luggage than that lol.